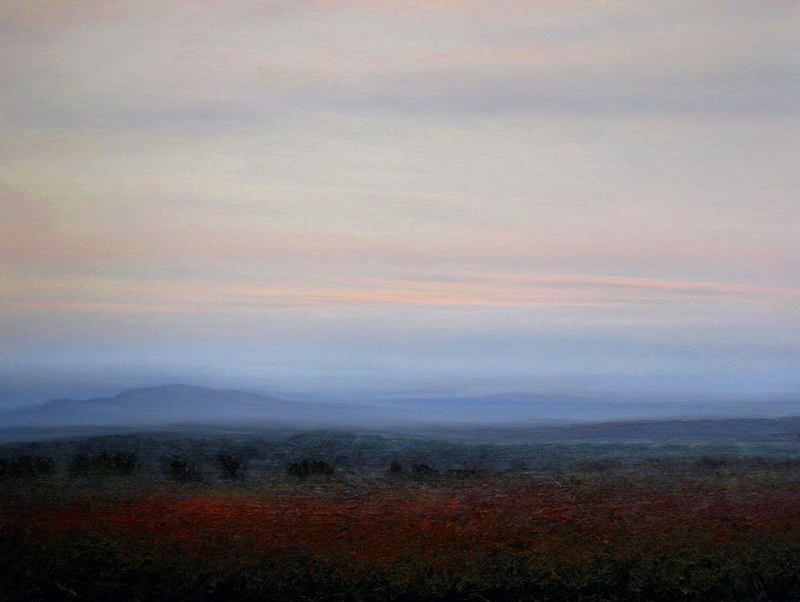 Landscape oil paintings by Asheville artist Dave Goldman. in the mountains of western North Carolina. Look for me and my landscape oil paintings, seascape oil paintings, and mixed-media painting at my art festival exhibits, or call or email me for an appointment if you would like to see a painting in person and visit my studio in Mills River near Asheville. Mills River is now home of the new and wonderful North Carolina Sierra Nevada brewery . Some of my landscape paintings are always available at Woodlands art gallery in Hendersonville, NC. Check the painting Purchasing/Commission page for the pricing and ordering information, and please feel free to contact me if you have any questions. I look forward to hearing from you and meeting you. In my painting I am interested in conveying the elegance, mystery, and romance of open spaces. I am particularly fascinated with atmospheric effects from thunderstorms, banks of mist and distant haze. As I explore the mountains, grasslands, oceans, and other American wilderness for inspiration I will continue to bring my interpretation of their beauty to you in my painting. 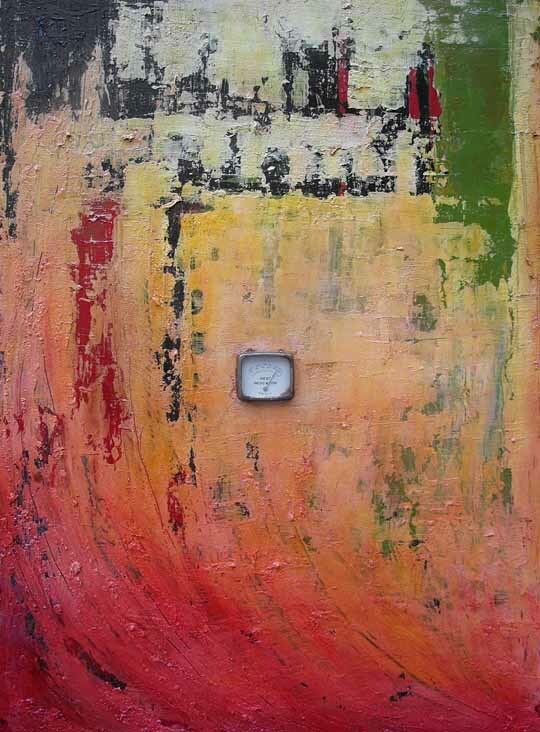 Also check out the page of my abstract mixed-media work, which incorporates lots of found objects and even some personal artifacts. I really enjoyed developing this body of work, and hope to do more abstract art like this in the future. Thanks for your support and your interest in my artwork! All artwork images copyright Dave Goldman.